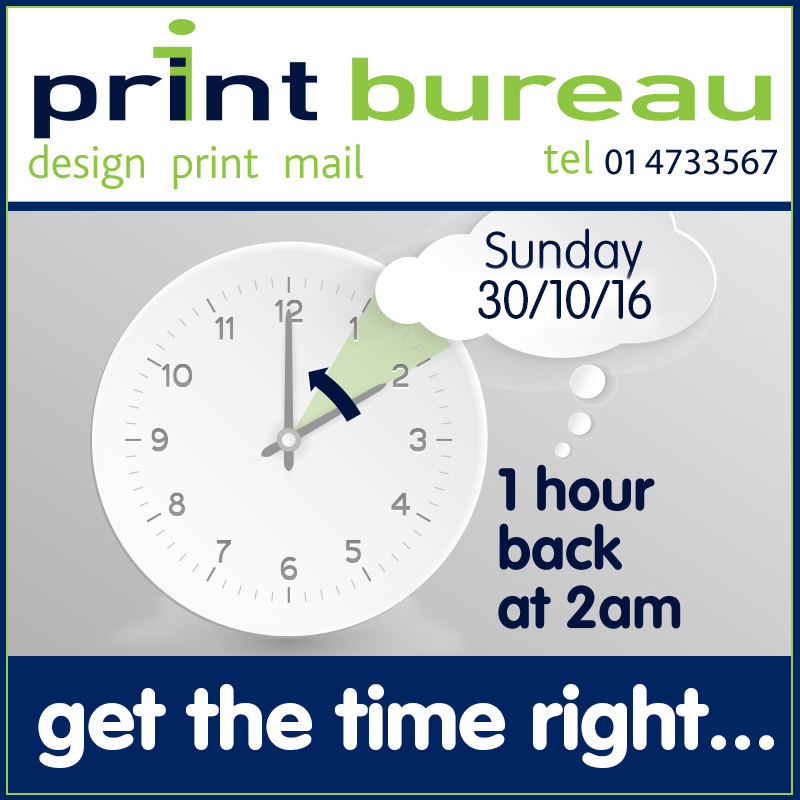 October Bank Holiday Winter Time | Print Bureau. Design, Printing, Mailing, Dublin, Ireland. So remember, Sunday, 30th October, 2016, at 2:00am, all clocks are turned backwards 1 hour to Sunday, 30th October, 2016, 1:00am local time instead. We just don’t want you to show up at work on Tuesday an hour earlier. Wishing friends and customers a great Bank Holiday weekend! At Print Bureau we know everyone’s requirements are different, so why not call us to discuss your project. We’ll advise you regarding everything from design to delivery, and provide you with a quotation for the full job.